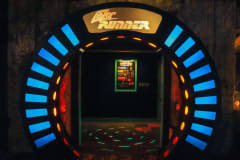 "Lazer Runner" Huge arena & latest technology rated best Lazer Tag in Columbus"
Enter Through our Portal & Vest Up for Battle! 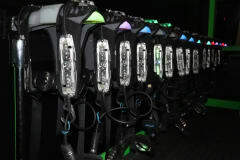 Our new "Lazer Runner" State-of-the-Art Lazer Tag System is something which needs to be experienced to be believed. Under the cover of black lighting seek out your perfect hiding spot and await the enemy among the many levels of "Lazer Runner"